Added the below image and caption to the Trombone History Timeline (19th century, first half). 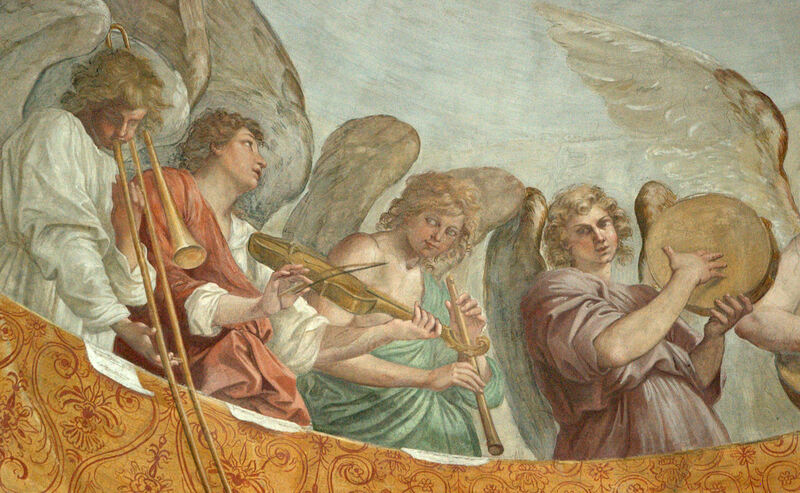 I’ll also be adding it to the article Backward Advances: Rear-Facing Trombones Throughout History. 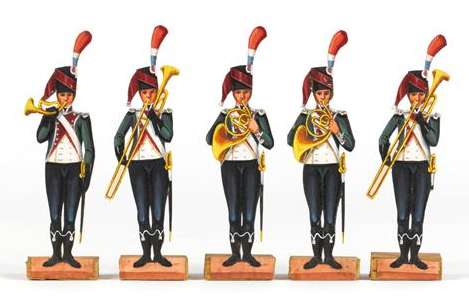 1810-40—Strasbourg, France: An image by artist Boersch Thiébaut (1782-1861) that is part of set of figurines executed between 1810 and 1850 features musicians of the 14th Regiment, including 2 rear-facing trombones (see below image; public domain) (Paris, musée de l’Armée).